We are specialists in domestic and residential fire suppression and dry risers. We design, install and maintain Fire Sprinkler and Dry Riser systems nationwide from our offices in Sussex, Lancashire, Cheshire and Wales. Established in 2002 by Keith Morris, Ultramist Ltd (trading under the name Ultrasafe Fire Suppression) have been designing, installing and servicing domestic and residential fire sprinkler and dry riser systems throughout the UK for over 10 years. At Ultrasafe Fire Suppression we consider ourselves to be a strong player in the UK fire sprinkler market place, especially when it comes to providing excellent customer service, innovative design and aftercare. This is shown in our commitment to our quality management system which is externally audited and certified to ISO 9001. You can now also find us as an approved contractor on Construction Line as well as listed in the Red book live the LPCB’s listing of accredited companies. We have come a long way since the beginning. We have over 500 sprinkler systems in our current portfolio, which amounts to over 14,500 installed sprinkler heads in properties including houses, flats, penthouses, mansions, care homes, student flats, shops and pubs, Grade I & II listed buildings, national ancient monuments, historical heritage homes, educational builds and schools. As well as satisfying various design requirements our systems have proven themselves in 3 separate fire scenarios saving the lives of 6 people, including 2 children. Saving lives, protecting property, safeguarding investment are our core objectives. Much as we like to promote the life saving benefits that fire suppression systems bring, it is true to say that the real tangible benefit to the end user can be to overcome a building design obstacle. We will give you our best and honest guidance as well as support to ensure that the fire suppression system specified meets your specific requirements.With a full and dedicated team of office staff, sales and engineers, Ultrasafe works hard to deliver the best fire suppression. Our business is growing fast and new ventures into Manchester and surrounding areas means our name is spread across the country as one the leading fire suppression outlets in the UK. Mains Fed Fire Sprinklers – These systems are fed directly by the town water main so there is no need to store water or pump it round the system. Pump and Tank Fire Sprinklers – If the mains water supply does not meet the criteria then this system can be fed from water stored in a tank and pumped to the sprinklers. 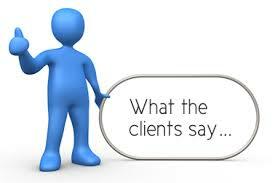 See What our Customers Say ….